The weather forecasters on the television have been telling us that yesterday (1 March) was meteorological spring. This afternoon it certainly felt like it, with a pleasant, light breeze and lovely sunshine. 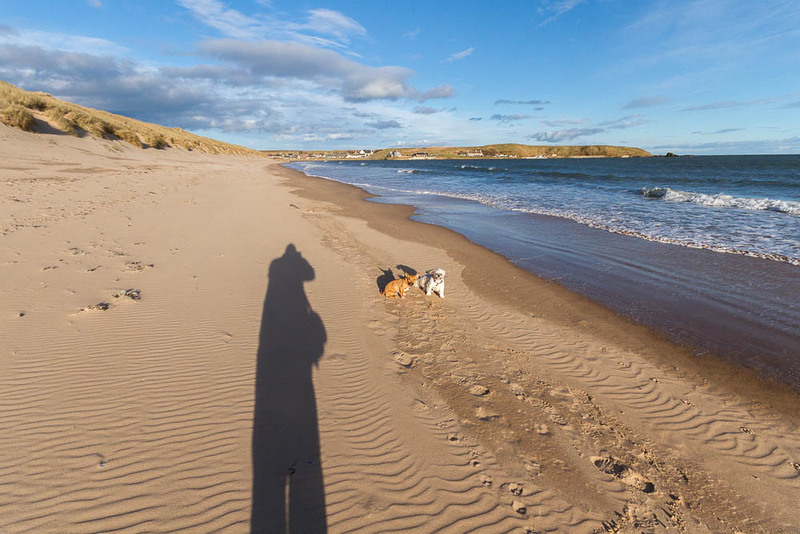 It has been a long time since we walked along the sands at Cruden Bay. We used to be regulars there, but Poppy’s nervous nature and her reaction to other dogs have led us to seek more lonely spots for walks. 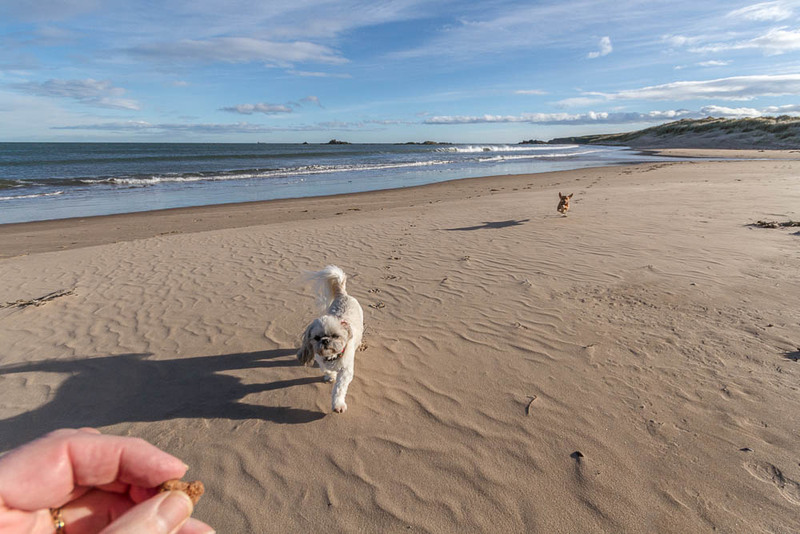 I’m glad we took our courage in both hands and paws today, and set off over the Ladies’ Bridge onto the sands. The tide was about at its highest with the waves just a few feet from the dunes, but it was gradually retreating. 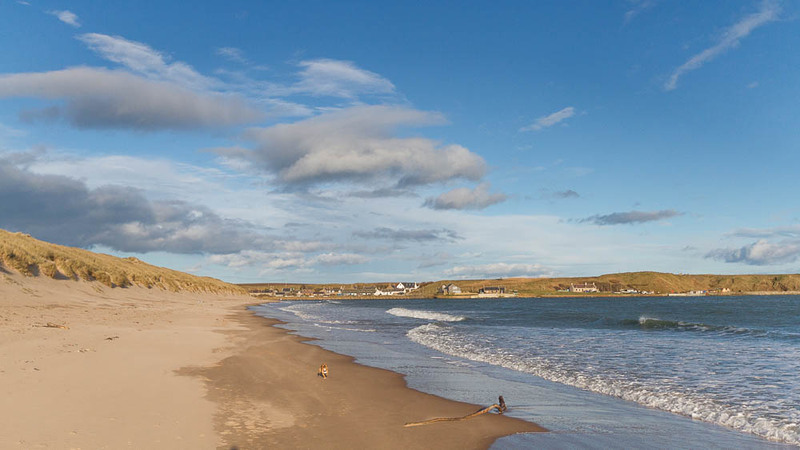 I remember one day long ago nearly being caught by a high tide there, and having to cling onto the steep sides of the dunes to make our way back to the bridge. 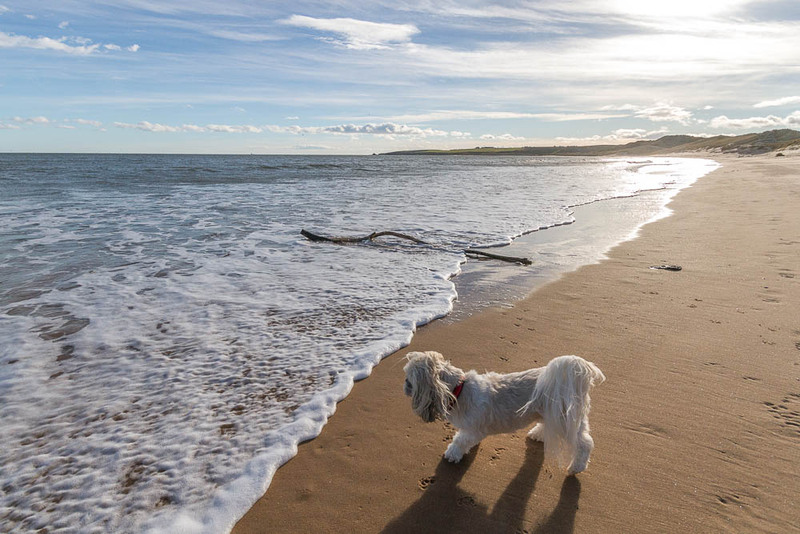 As we made our way along the beach I remembered the other reason that beach walks are not so much in favour now – Lily absolutely adores barking at the waves. But today, she seemed to know that was not required, despite the fact that there were white-crested waves rolling in. To bark, or not to bark? 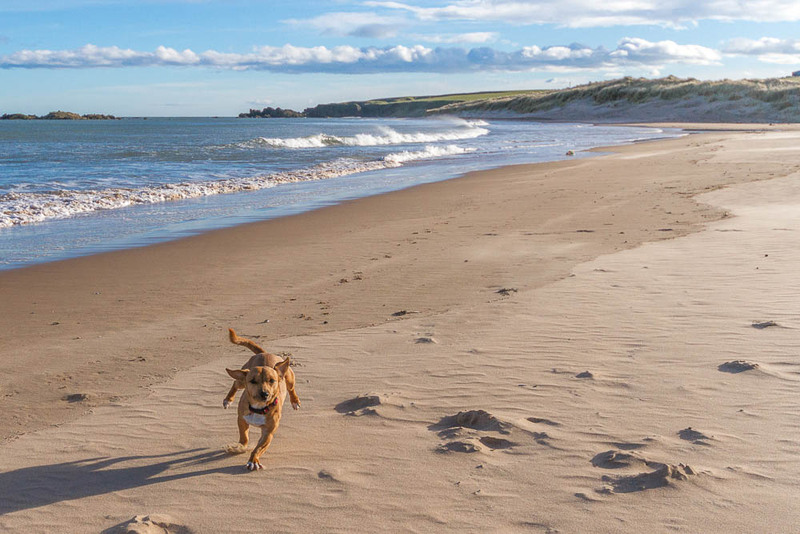 After passing just one lady with her two dogs who was heading back to the bridge, we had the beach all to ourselves. 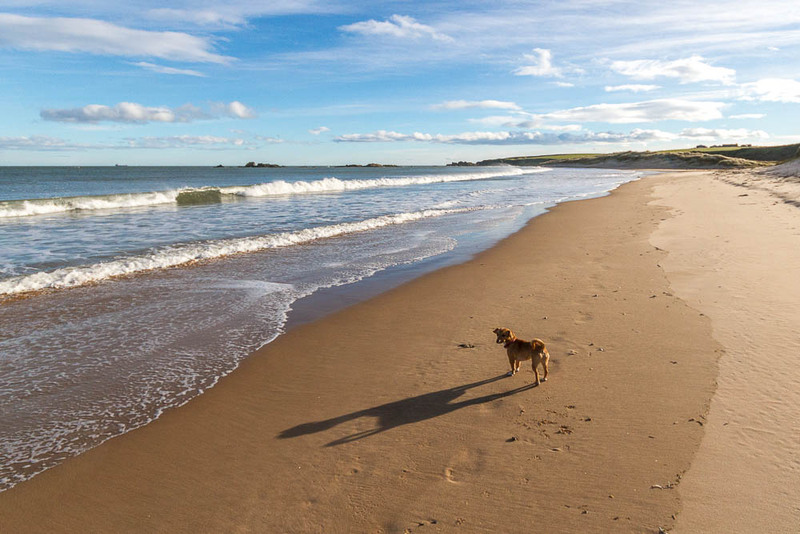 Can you imagine it, a whole beach, spring sunshine, and not too much wind. Idyllic!! I decided to stick with the wide-angle lens which was attached to my Canon. The wind and the sand and the spray could get into the works of the camera if I tried to change the lens on the beach. The set of pictures I have came back with show the broad sweep of the bay; no close ups of dogs today, just carefully placed canine props in the foreground of the photographs. You can see my set of pictures on my Flickr Page.